It was that time of year for all those with boring or unloved gardens to feel pangs of envy as they perused a selection of village plots oozing with vibrant life, colour and cultivation. 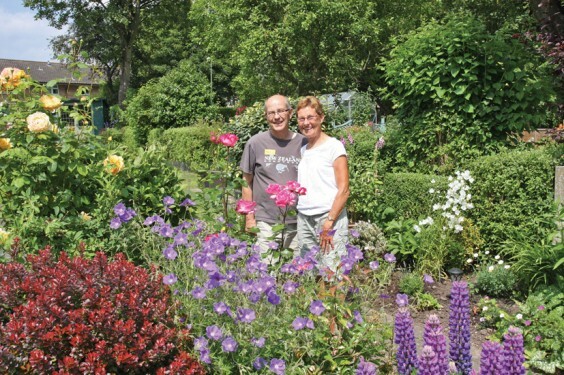 Ten Alvechurch gardens – plus the new allotments – were open for two days in June as part of the National Gardens Scheme and, bathed in sunshine, they demonstrated what can be achieved by orchestrating nature in harmony. It helps when you’re the former director of Birmingham Botanical Gardens, of course, and Philip Aubury’s voodoo lily, featured on the front cover of this magazine last month, was a highlight. Quite by chance, he said, its annual two days in flower had coincided precisely with the open gardens weekend, although one got the feeling that at least some planning had gone into this feat. The rest of the gardens were no less splendid, created by remarkable people who had harnessed the growth in their gardens into a glorious guilt trip for the rest of us. With 636 paying visitors over the two days, plus sales of refreshments and plants, Alvechurch Open Gardens raised £4,200 for the NGS charities – this also included a “matched funding” of £250 from RBS, as arranged by garden owner Kevin Baker. Above: Dianne and Barry Court and their garden on Tanyard Lane.